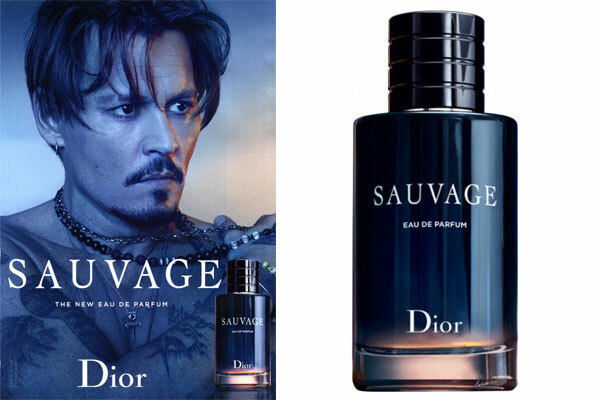 Sauvage Eau de Parfum by Dior - This masculine oriental fougere fragrance for men is an earthy and woody version of the original Sauvage cologne. 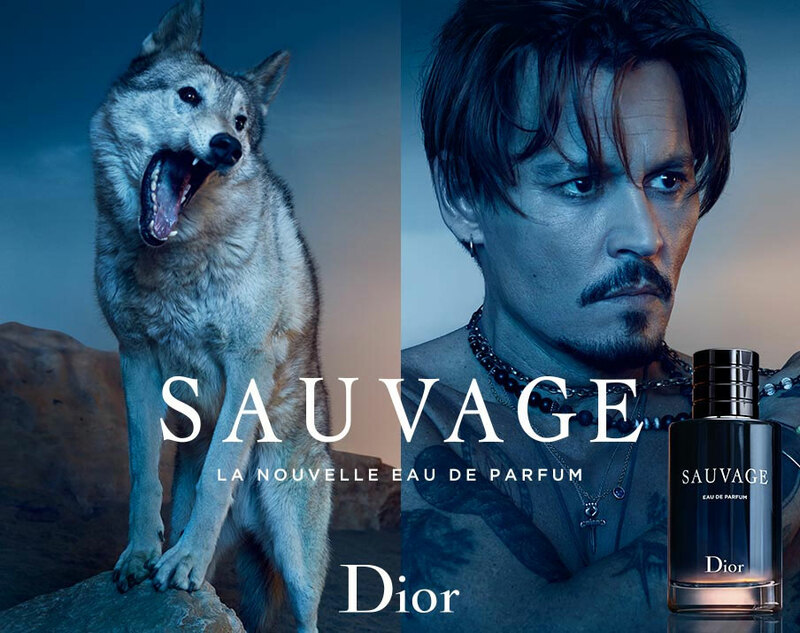 The latest scent from Dior was created by in-house perfumer Francois Demachy and includes notes of bergamot, Sichuan pepper, and ambroxan blended with nutmeg and Papua New Guinean vanilla. The original Dior Sauvage black glass perfume bottle is updated with a peach accent. Launched in January 2018 this new fragrance is available in an eau de parfum spray from Sephora and Macy's. 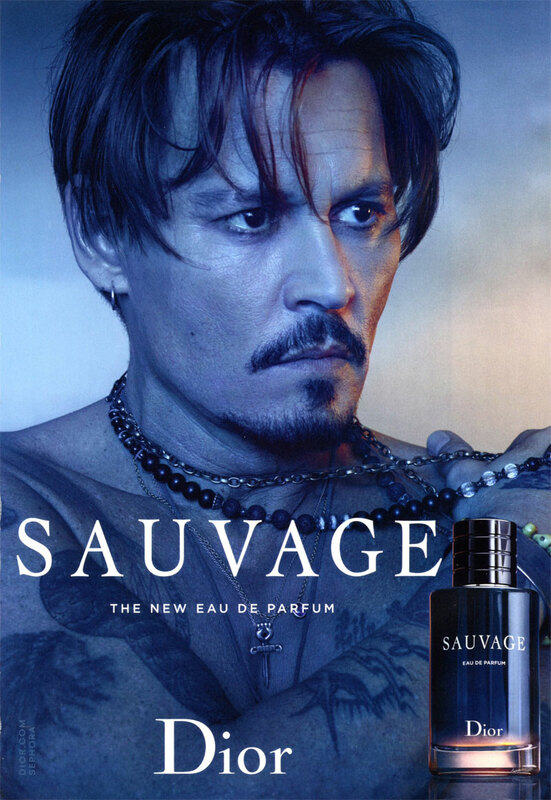 The ad campaign features actor Johnny Depp. Package Design Original Dior Sauvage perfume bottle with peach hue accent.